The Giant Propel was launched at the start of 2013 and we were blown away by the amount of work that had gone into developing the bike. Let us not forget that Giant is the world’s biggest bike manufacturer so it would be easy to assume that it has been a little slow on the uptake given that it hadn’t previously produced anything that fitted into the rapidly expanding aero road bike market. When Giant turned up with the Propel Advanced SL last year, it showed that it was serious about the new sector. Not only did the company’s data show that in a wind tunnel, with a simulated rider on board, that the bike was faster than everything else, but that it was also lighter as a frame module too. 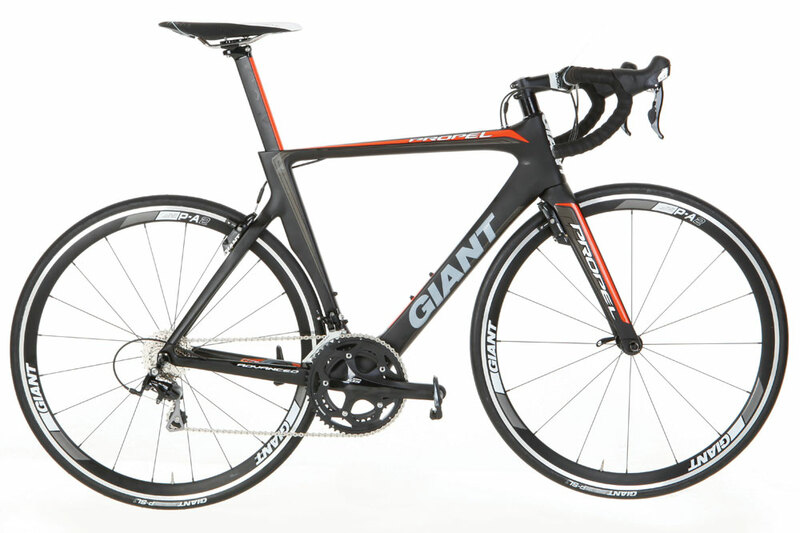 If there was a chink in the armour, it was that the bike was some way from cheap, but for 2014, Giant has addressed the cost issue and broadened the Propel’s appeal, with two new models, the Advanced 2 and 3. With a swing tag that starts with a one – albeit only just – the Propel Advanced 3 has got to be the cheapest way to go fast, short of buying a second-hand banger from Dave’s Autos. OK, it’s not the exact same frame as you get at the top of the range but, frankly, it’s as near as will probably matter to most people. 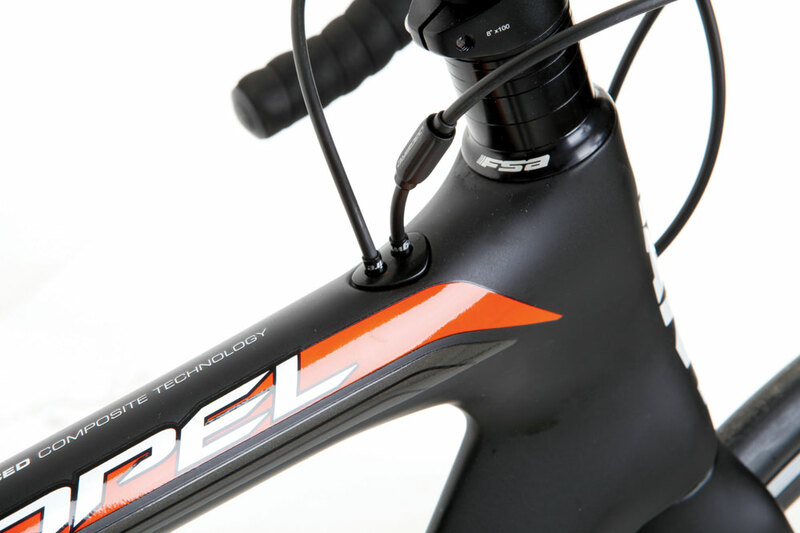 All the front-end moulds are the same across both Propel ranges with the difference occurring in the seatpost. 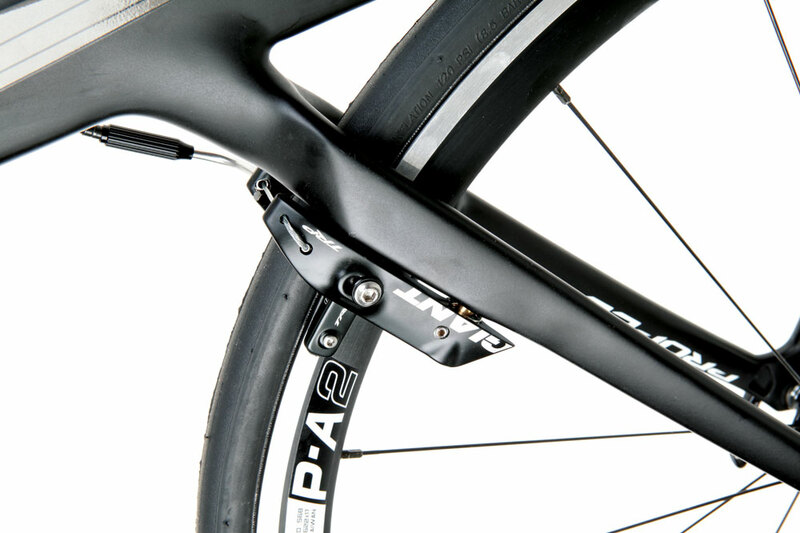 The ISP integrated post is dropped in favour of a conventional seatpost, but it’s still a sleek look with clamping taking place internally to retain an aerodynamic profile. The carbon-fibre used has also been downgraded to save cash; it goes from Toray T800 down a step to T700, so it’s not a huge difference. In the Advanced range you can choose from the Propel 3, that we have here, which uses Shimano 105, Giant’s bar, stem, ‘post, new P-A2 wheels and brakes for £1,999, or the £3,149 Propel 2, which features Shimano Ultegra 11-speed, 50mm deep-section Giant wheels and a composite handlebar too. The Envie, nominally a women’s bike, came out of a single aero design process and offers the same advantages and costs the same. We say, look at the Envie as an option for smaller sizes with potentially more appropriate geometry.